California Attorney General Xavier Becerra. California Attorney General Xavier Becerra has come under fire for refusing to release copies of misconduct complaints made against sworn law enforcement members of the California Department of Justice since 2014, along with files involving sustained cases of misconduct. A new state law that went into effect Jan. 1 requires agencies that employ sworn officers to publicly release disciplinary records involving sexual assault, dishonesty and serious use of force. But Becerra referenced superior court challenges to the law in his rejection of the request, according to KQED News coverage. 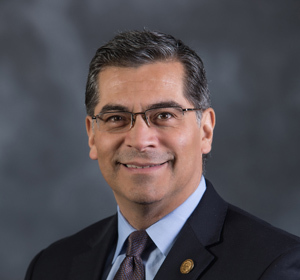 “We have a couple of cases where courts are about to weigh in on how to interpret that state law, and we want to make sure that we remain consistent,” Becerra told KQED in an interview. State Sen. Nancy Skinner, D-Berkeley, who authored the new law, SB 1421, also told KQED that she was surprised by Becerra’s rejection of the records request, which was made by freelance reporter Darwin BondGraham. “I find the AG’s interpretation puzzling considering that we have law enforcement agencies up and down the state, including our California Highway Patrol, releasing records,” Skinner said. BondGraham posted a response on Twitter from Mark Beckington, California’s supervising deputy attorney general, which said pending cases raise the issue of whether the new law requires disclosure of records relating to conduct that happened before Jan. 1. In two of those cases, which involve unions representing Richmond and Los Angeles police officers, he said courts told agencies not to release records. “Therefore, until the legal question of retroactive application of the statute is resolved by the courts, the public interest in accessing these records is clearly outweighed by the public’s interest in protecting privacy rights,” Beckington said in the response.